CakeSpy Note: if you follow me on facebook or Twitter, you probably know I'm partial to adding bits of sweetness to my daily surroundings, via sidewalk chalk, small cutouts, and the like--I call it "gentle street art". Here's where I post a daily feel-good photo, for no particular reason other than to showcase these sweet little nothings, in hopes that they'll make you smile. 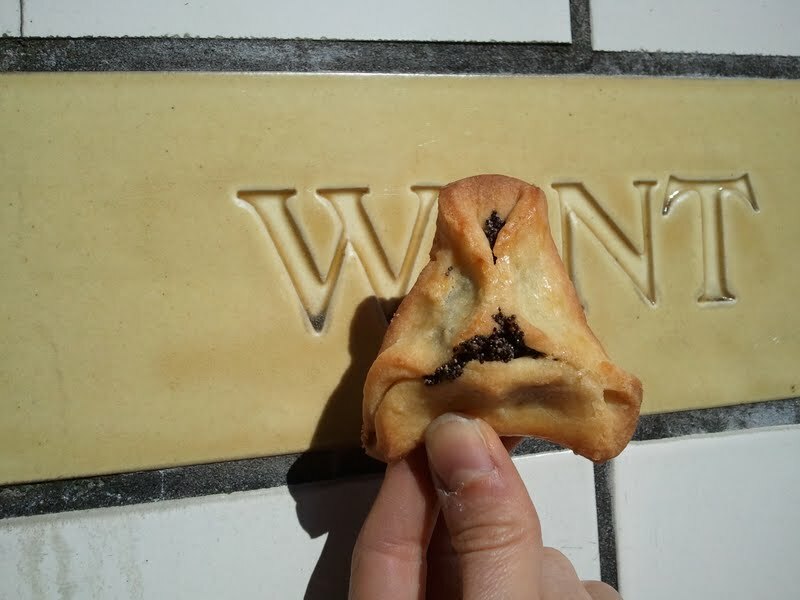 This one was an unexpected cookie: a hamantashen baked by Jenny, which she gave to me when I ran into her on the bus. Want to share?